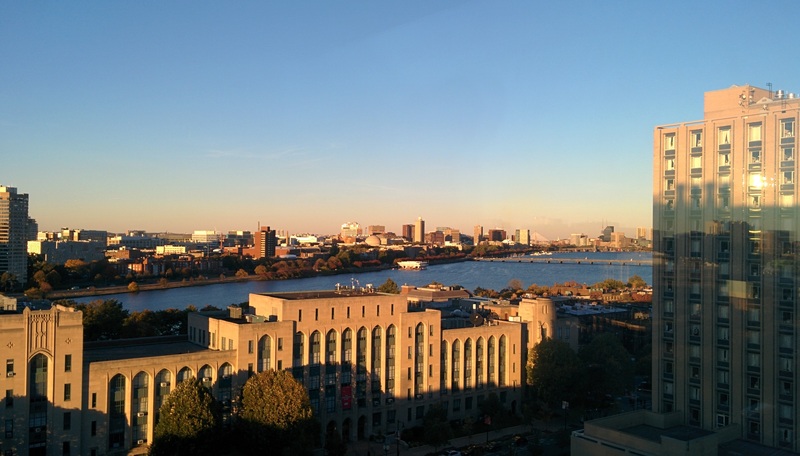 The 3nd New England Networking and Systems Day, NENS’16, will be held on October 7th, 2016, at the Boston University Photonics Center, 9th Floor, located at 8 St Marys St, Boston, MA 02215. The commanding view from the Photonics Building. Please arrive early. The schedule is tight, and you should be sitting down by 9 am. Parking: While there are no special arrangements for event parking, you can check this page for general BU parking information. Granby Lot and Kenmore Lot are the closest to the venue. If you are presenting a poster, you should assemble it before the sessions start, between 8 and 9 am. If you are giving a talk, you should check with your session chair to copy your talk files to the presenting computer. We will provide coffee/tea, lunch and snacks during the day. We look forward to seeing you! No special arrangements so far, but do ask us if you plan to stay overnight and have any questions regarding where to stay.